A World Series title, 8 All-Star appearances, 5 MLB ERA leader, and Boston Red Sox Hall of Fame are part of the legacies of Pedro Martinez who was in the Major League Baseball (MLB) since he made his debut in 1992 until 2009 when he retired. Martinez was a baseball player who played in the MLB for teams such as the Boston Red Sox, New York Mets, and Philadelphia Phillies which he last played for before he retired. The MLB star was born Pedro Jaime Martínez on October 25, 1971, in the Dominican Republic, Manoguayabo. He was brought up in a palm wood house as one among six children. His parents, Pablo Jaime Abreu and Leopoldina Martínez had to work odd jobs and in the homes of wealthy families to be able to support their kids. As a result of this Pedro had to take on a job as a mechanic to also help his family. Since he was a child, Martinez had always loved playing baseball but as he had no money to get one, he made use of oranges. His brother, Ramón Martínez is also a baseball player whom he carried bags for whenever he went to play. He began his career in 1989 with Tigres del Licey after which he moved to Azucareros del Este. In 1991, he came back to Licey. Even before then, he signed as an amateur for Los Angeles Dodgers. Pedro Martinez made his MLB debut for the Los Angeles Dodgers in 1992 in a game against the Cincinnati Reds. His brother, Ramon, was also playing for the Dodgers at the time. Inasmuch as he was a good player such that his elder Martinez said was good enough for a starting pitcher, Pedro was only used as a relief pitcher because their coach thought he was too small to be effective as a starting pitcher. In 1994, he joined the Montreal Expos after he was traded for Delino DeShield. He remained there until 1997 when he was traded to the Boston Red Sox for Carl Pavano and Tony Armas, Jr. Next, he was off to New York Mets in 2005 and then in 2009, he moved to Philadelphia Phillies where he finally retired. Looking at his career which ran from 1992 to 2009 across five teams, the retired MLB star easily had a very successful career. He had a Win-loss record of 219-100 while his earned run average is 2.93 with strikeouts of 3,154. More so, he has made a lot of achievements in the MLB including making as much as 8 All-Star from 1996 to 2000 and then in 2002, 2005, and 2006. He was also the MLB ERA leader five times and for three times, he won the Cy Young Award. To crown it all, Pedro Martinez won the World Series in 2004 with the Boston Red Sox. It was to his honor that the Boston Sox retired the No. 45 jersey while he was also inducted into the Boston Red Sox Hall of Fame. For a player who has risen from as much poverty as Pedro Martinez, the retired baseball player has worked hard to achieve a lot for himself in the MLB. With that said, Martinez has a net worth that has been estimated at $70 million. 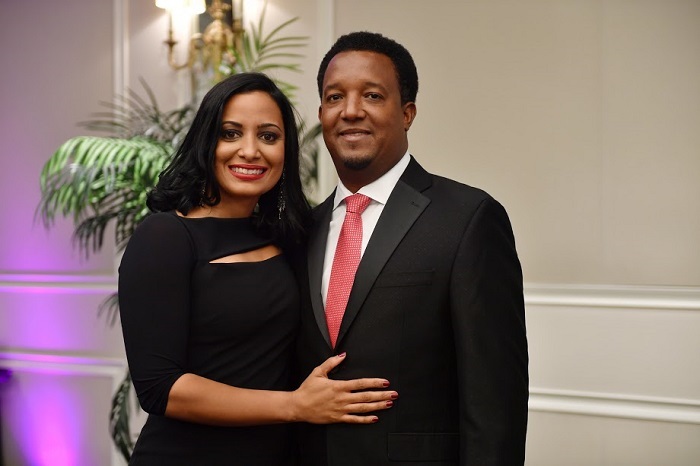 Pedro Martinez is a married man who tied the knot since 2005 to Carolina Cruz Martinez. It was when she was a sophomore at Boston College that Pedro first met the woman who would later be his wife. At the time, she was a journalism major who was also playing volleyball. Carolina attended the University of Miami from where she obtained her masters in Journalism, then worked with ESPN. However, she now takes care of the charity of her husband, Pedro Martinez, and Brothers Foundation which seeks to help children in the Dominican Republic while focusing on health and education. Martinez is blessed with two children who are very much interested in playing baseball. Rather than baseball, the house of Pedro Martinez is filled with talk about basketball which is a game that Pedro loves even though he played baseball and his two children are also playing baseball. Interestingly enough, his son, Pedro Martínez Jr. is also playing professional baseball and is signed to the Detroit Tigers. Pedro Martinez now works as a Red Sox special assistant.